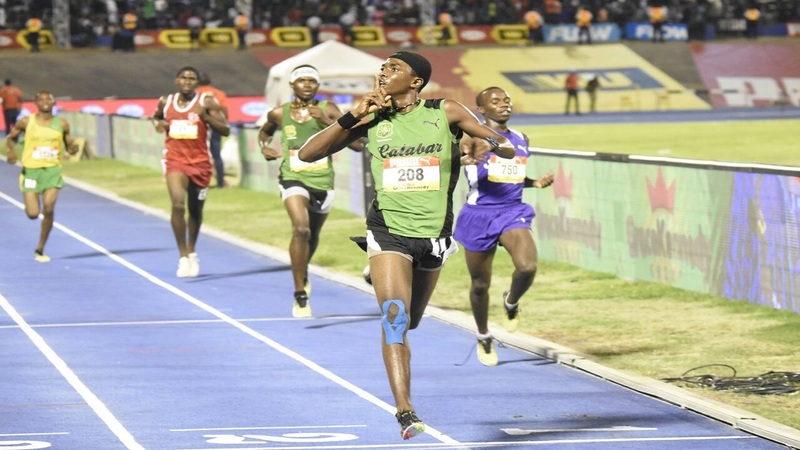 Kevroy Venson of Calabar High celebrates at the wire after a stunning victory over KC’s Ugandan athlete Arymanya Rodgers in the Boys' 5000m open on Saturday's fifth and final day of the 2018 ISSA/GraceKennedy Boys and Girls' Athletics Championships, at the National Stadium. (PHOTO: Marlon Reid). 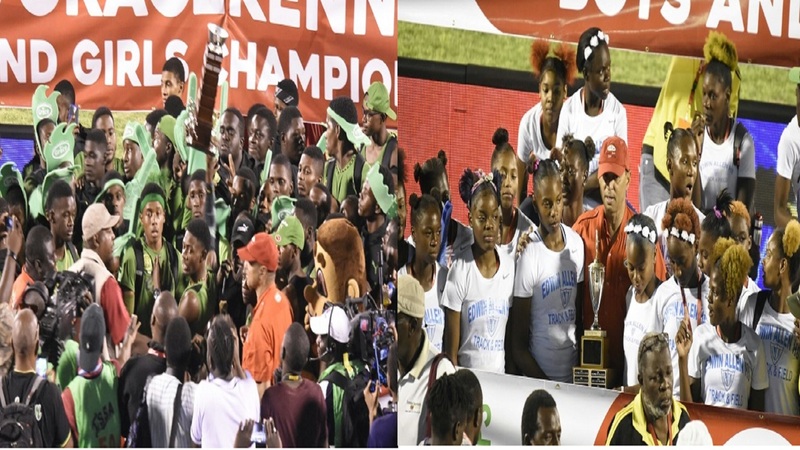 Final points standings for the 2018 ISSA/GraceKennedy Boys and Girls' Athletics Championships, which ended on Saturday night at the National Stadium. 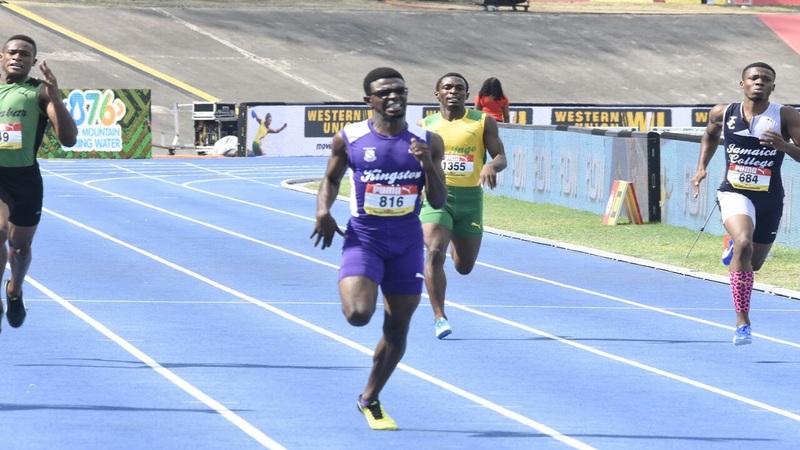 At the end of the five-day championships, Calabar High and Edwin Allen High retained their respective titles. NOTE: Hydel High was disqualified after winning the Girls' 4x400m relay open and the race awarded to Edwin Allen. However, following a protest, the result was reinstated to its original placing, 45 minutes after. 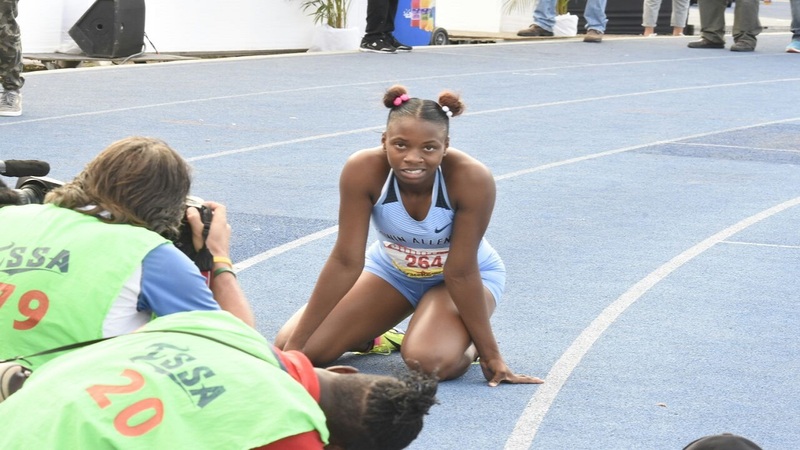 When the disqualification was announced Hydel had slipped from second place in the point standing to third and Holmwood Technical was promoted from third to second.